5.9 Earthquake hits the Mid-Indian ridge. 5.4 Earthquake hits the Samoa Islands. Typhoon 04w (Maysak), located approximately 49 nm east-northeast of Fais, is tracking west-northwestward at 12 knots. 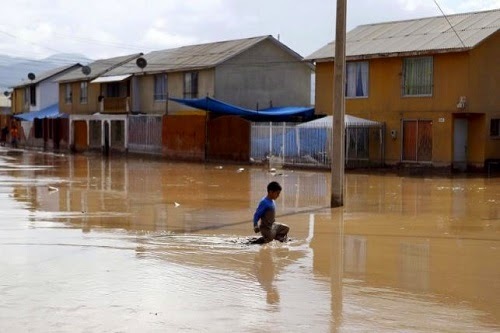 Chile Update – Officials in Chile said 18 people were killed and 20 were still missing after flash floods devastated the Atacama region in the north of the country last week. The rains, which started on Tuesday, were the worst in 80 years to fall in the region, one of the driest on Earth. Almost 11,000 people have been affected and more than 4,500 are in shelters. 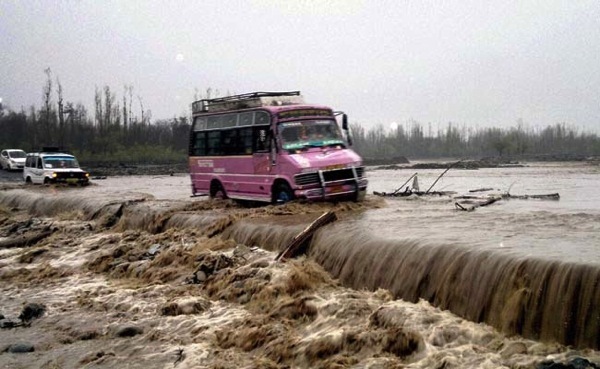 India Update – Six bodies were recovered on Tuesday increasing the death toll to 16 in Jammu and Kashmir as a devastating flood in the state forced thousands to flee to safer places. Several areas of the Valley and parts of Jammu were in deluge caused by heavy rain over the weekend. England – Flooding and gales in Greater Manchester have disrupted traffic, flights and rail traffic. Numerous homes and building sustained light damage from the high winds. 7.5 Earthquake hits New Britain, Papua New Guinea. The Pacific Tsunami Warning Centre in Hawaii said “hazardous tsunami waves are possible for coasts located within 1,000 km of the earthquake epicentre along the coasts of Papua New Guinea and the Solomon Islands”. In Rabaul, the town closest to the epicentre of the earthquake, residents noticed the sea level rose slightly, prompting ocean water to flood the parking lot of a shopping centre near the beach. A tsunami of 0.5m was measured in the harbour of Rabaul. 6.7 Earthquake hits the Samoa Islands. 5.4 Earthquake hits Guizhou, China. Typhoon 04w (Maysak), located approximately 458 nm east of Yap, is tracking west-northwestward at 12 knots. India – At least 10 people were buried by mudslides and hundreds of people left their homes in Kashmir after heavy rain over the weekend raised fears of floods in the valley. Late last night, water levels crossed the danger mark in the river Jhelum, causing panic in a region devastated by floods six months ago that left some 250 people dead and destroyed thousands of homes. All schools were closed on Monday and exams were postponed as the state government declared a flood. This year, in large parts of India, March has been the wettest month in more than a century, wrecking millions of hectares of winter crops. The warmest temperature ever recorded on the continent of Antarctica may have occurred on Tuesday, March 24, when the mercury shot up to 63.5°F (17.5°C) at Argentina’s Esperanza Base on the northern tip of the Antarctic Peninsula. The previous hottest temperature recorded in Antarctica was 63.3°F (17.4°C) set just one day previously at Argentina’s Marambio Base, on a small islet just off the coast of the Antarctic Peninsula. Prior to this week’s remarkable heat wave, the hottest known temperature in Antarctica was the 62.6°F (17.0°C) recorded at Esperanza Base in October 1976. The World Meteorological Organization has not yet certified that this week’s temperatures are all-time weather records for Antarctica, though the Argentinian weather service has verified that the temperatures measured at Esperanza Base and Marambio Base were the highest ever measured at each site. The Antarctic Peninsula is one of the fastest warming spots on Earth. While the Earth as a whole warmed up by 1.3°F between 1900 and 2011, the Antarctic Peninsula warmed by 5°, forcing massive ice shelves to disintegrate and penguin colonies to collapse. A 2012 paper in Nature found that the recent warming is faster than 99.7% of any other given 100-year period in the last 2000 years. 6.0 Earthquake hits Minahasa, Sulawesi, Indonesia. 5.0 Earthquake hits near the coast of northern Peru. Tropical depression 04w (Maysak), located approximately 768 nm east of Yap, is tracking westward at 10 knots. Macedonia – Rains falling across Macedonia caused new flooding, with rivers overflowing in several parts of the country. In the city of Kavadarci, the Luda Mara river overflowed in the Glisic area and near the village of Marena. In Prilep, the Crna river, which was responsible for much of the earlier flooding, overflowed near the villages of Trojkrsti, Lozani and Topolcani. Tropical depression 04w (Maysak), located approximately 161 nm east of Chuuk, is tracking westward at 09 knots. 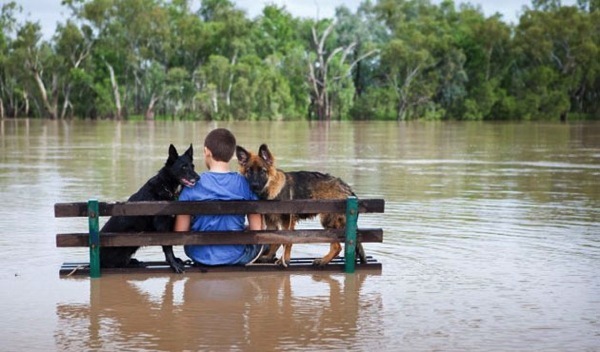 Chile Update – Devastating floods in Chile have claimed the lives of at least six people and left 19 others missing. The heavy rainfall has affected areas in the regions of Antofagasta, Copiapo and Coquimbo. A health alert has been declared in these zones. The downpours in the usually arid region have been the heaviest in about 80 years. Flash floods in Chile’s Atacama desert, one of the driest regions in the world, have left thousands of people without electricity or water. Chile’s government has declared a state of emergency for the Atacama desert region. A groundbreaking study of the health of fish living in the depths of the continental slopes suggests that some species may have developed liver diseases, tumours and other health problems that could be linked to manmade pollution. The research took place at depths between 2,000 feet and 1 mile in the Bay of Biscay, off the western coast of France, and revealed the first case of a deep-water intersex fish species. Such conditions, in which the fish displays a blend of male and female reproductive organs, have also been found among fish in far more shallow and polluted waters from Europe to North America. “In areas ranging from pristine, high mountain lakes of the United States to ocean waters off the coasts of France and Spain, we’ve now found evidence of possible human-caused pollution that’s bad enough to have pathological impacts on fish,” said fish disease expert and report co-author Michael Kent of Oregon State University. While no clear evidence of a major pollution source was found near the deep-water diseased fish, the species there mature at a relatively old age. Researchers believe they could have accumulated dangerous amounts of pollution during their lifetimes. Tropical depression 04w (Four), located approximately 48 nm west of Pohnpei, is tracking west-northwestward at 06 knots. 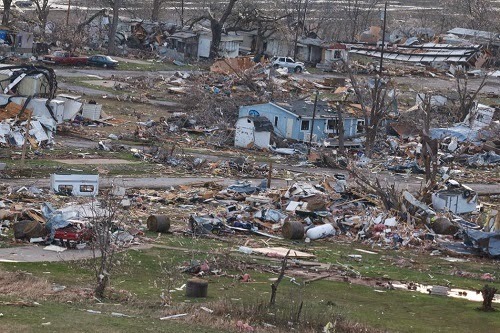 Oklahoma, USA – An extremely dangerous tornado in Tulsa, Oklahoma has claimed the life of one person and injured several others. The death occurred inside a mobile home park near suburban Sand Springs on Wednesday. Kazakhstan – Heavy rains and melting snow have caused severe flooding in the Qaraghandy region on the steppe in central Kazakhstan. The Central Asian nation’s Emergency Department said on March 26 that dozens of residents had been evacuated from three five-storied apartment blocks in the town of Qarazhal, where streets, highways and buildings have been damaged. It said dozens of apartment buildings and roads were threatened by flooding in the town of Atasu. Saudi Arabia – The recent heavy rains that caused floods in various parts of the Kingdom have killed 11 people, left three missing and trapped 456 vehicles, the Directorate General of Civil Defence announced on Thursday. It said four people died in Makkah region, three in Asir, three in Najran and one in Riyadh. The United Nations says the world is on the brink of at least a 40 percent shortfall in water supplies due to climate change and an accelerated use of the precious commodity to feed a surging global population. 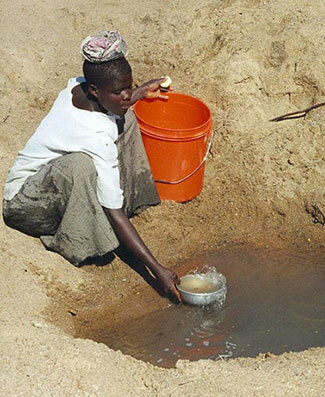 A report by the world body says that the demand for water will exceed its rate of replenishment by 40 percent in just the next 15 years. “The fact is, there is enough water to meet the world’s needs, but not without dramatically changing the way water is used, managed and shared,” the report says. It points to improvident use of rapidly disappearing groundwater sources, pollution and erratic weather patterns caused by manmade climate change as the major challenges for future water supplies.